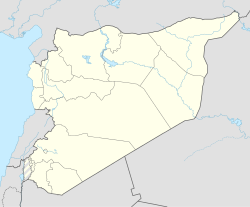 As-Suwayda' (Arabic: السويداء‎ / ALA-LC: as-Suwaydā’), also spelled Sweida, is a mainly Druze city in southwestern Syria. It is the capital of Muhafazat as-Suwayda', one of Syria's 14 governorates. This page was last changed on 24 November 2017, at 17:15.